← Yes Mr. Blue Eyes, help yourself…. Delicious, dripping chocolate. 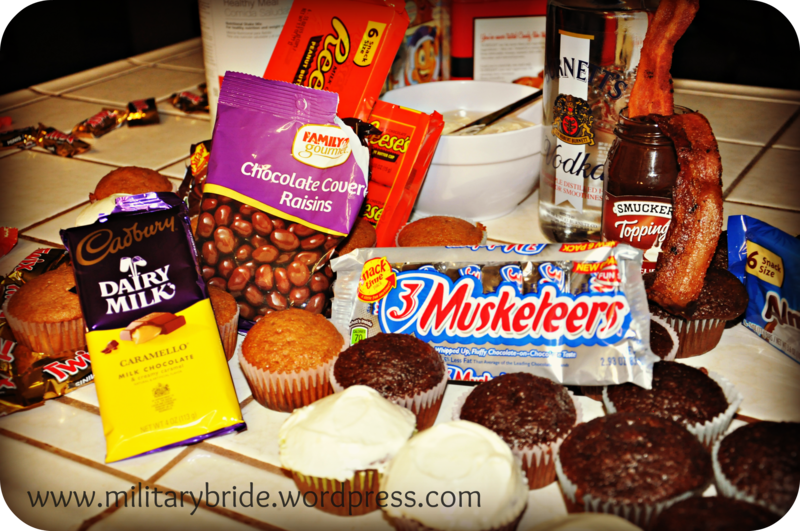 Bacon oozing in fudge, devil’s food cupcakes with chocolate chips, candy bars, and chocolate vodka. Ice-cream with hot fudge dribbled over it. Does it sound good? Believe me, it was. After my two girlfriends and I had a really rough week, we decided the only thing to do was to have a chocolate thanksgiving. I know, it’s a confusing concept, is there chocolate turkey? Well, no there wasn’t, but there was almost everything else in chocolate form. We had more than any three girls should eat, and the next morning, there was definitely a huge dent in the chocolate feast. This night was dedicated to all things chocolate, and all things sweet. Including watching 16 candles, and made of honor. Oh yes, it was a wonderful night. We did drink a little more than any of us ever do, but it was fun to have just a girls night. 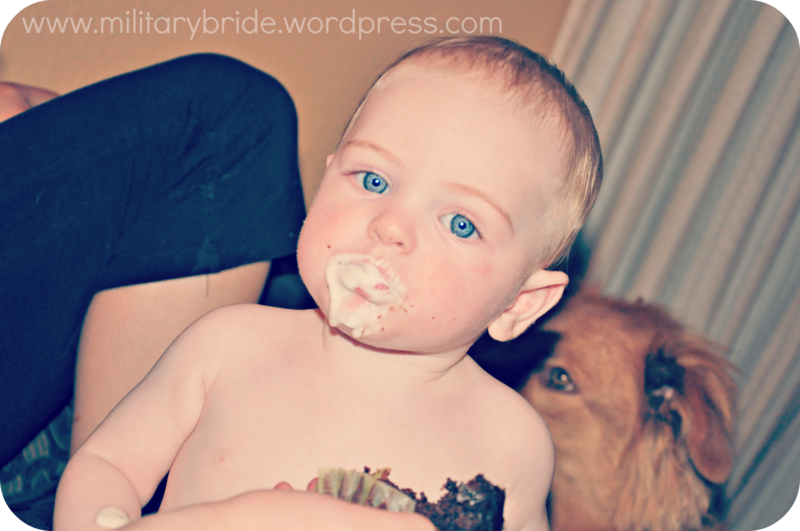 The only boy allowed was Mr. Blue Eyes, and he was more than happy to be a good little baby when he was given some ice-cream. I know this isn’t a very long post today, but I was wondering, if you were to do a CHOCOLATE THANKSGIVING, what would be your one MUST HAVE chocolate?? Posted in Baby, entertainment, family, food, life, military, military family, milspouse, navy, photo, photography, Uncategorized and tagged babies, baby, baby boy, boys, child, children, chocolate, chocolate thanksgiving, family, food, holidays, ice-cream, life, milhubby, military, military baby, military family, military life, military wife, parents, pets, photo, photography, son. Bookmark the permalink. you’ll have to post the recipe sometime, I’d love to try both of those!